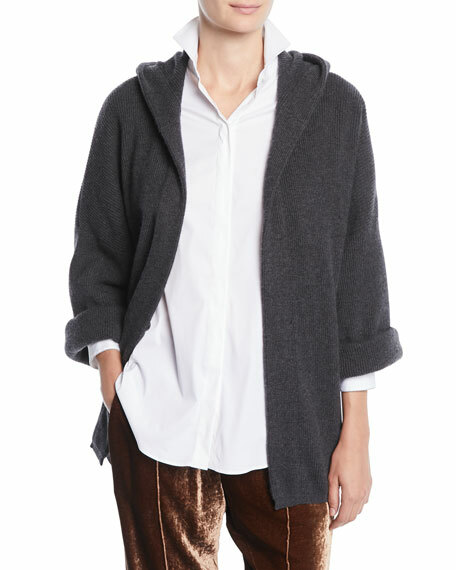 Brunello Cucinelli ribbed cashmere cardigan. 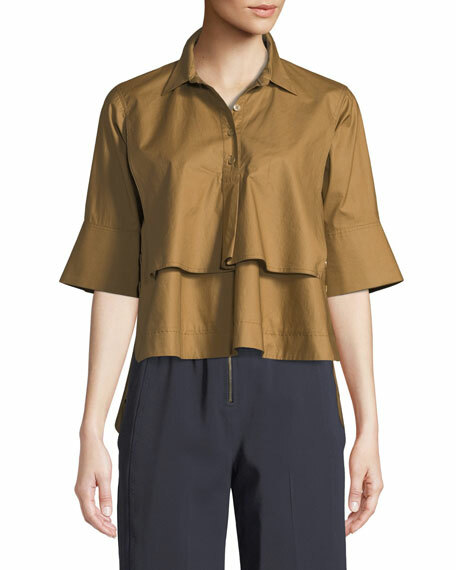 For in-store inquiries, use sku #2663044. 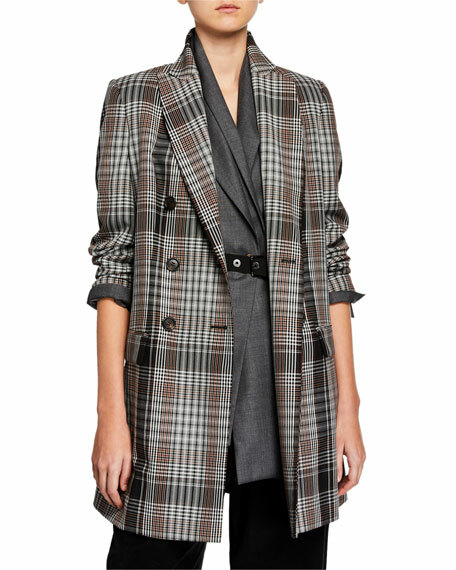 Brunello Cucinelli overcoat in plaid tropical wool twill. Peak lapel; double-breasted button front. Long sleeves. Hip flap pockets. Streamlined silhouette. Mid-thigh length. 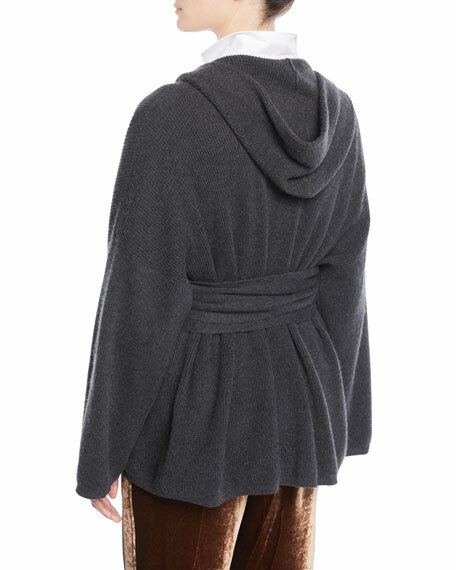 Virgin wool. Lining, acetate/silk. Made in Italy. Exclusively ours. 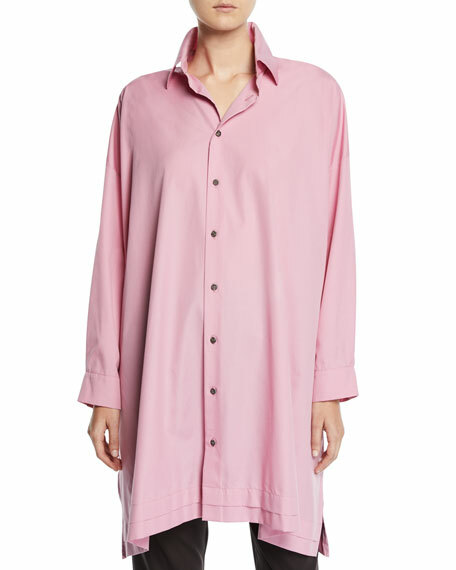 Eskandar long shirt in cotton shirting with pleated edge detail . Spread collar; button front. Dropped shoulders. Long sleeves; button cuffs. A-line silhouette. Side slits. Oversized fit. Made in UK.